The Highlanders are struggling to contain their excitement. There are hugs, tears, kisses and high fives everywhere. In contrast the Hurricanes look devastated. Awesome Steve, great commentary. I wont notice when I step outside into 45 degress. It was pretty heated in this air conditioned compartment as work this morning. We are over from W.A. We get no Rugby there on TV. We are pleased to see the Highlanders get up while we are here. Thanks for joining us tonight, I hope you have enjoyed our coverage. Make sure to stick around for the match report, First Take column and video highlights which will all be online very shortly. disappointing to see the team that have done so well in the past season, so many opportunities to spill it in the final. 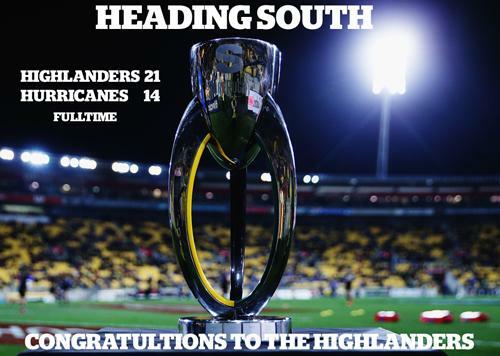 lost a bit of faith in barrett tonight....well done highlanders - better luck next time hurricanes! 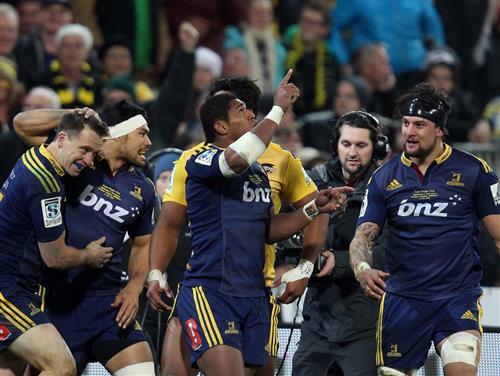 Well played @Highlanders. Stunning win. Will there be live coverage for RWC Steven? Yes, we will be live blogging the All Blacks game against Samoa on Wednesday and every ABs game at the Rugby World Cup. look forward to the live blogs of the RWC steven holloway...love your blogs...kick off time for samoa game please?? Thanks again Steve, Look forward to Wednesday.